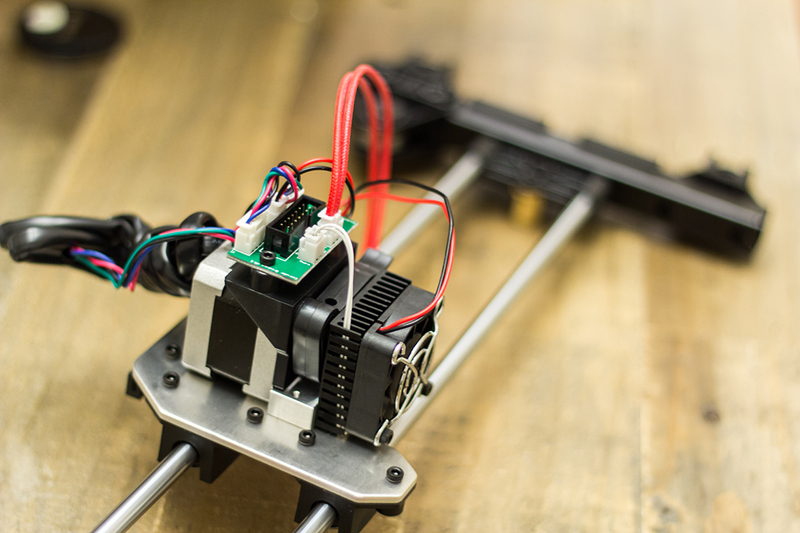 Now that the campaign review is over, I want to put the challenges of actually getting the RigidBot behind me and focus on the printer itself. 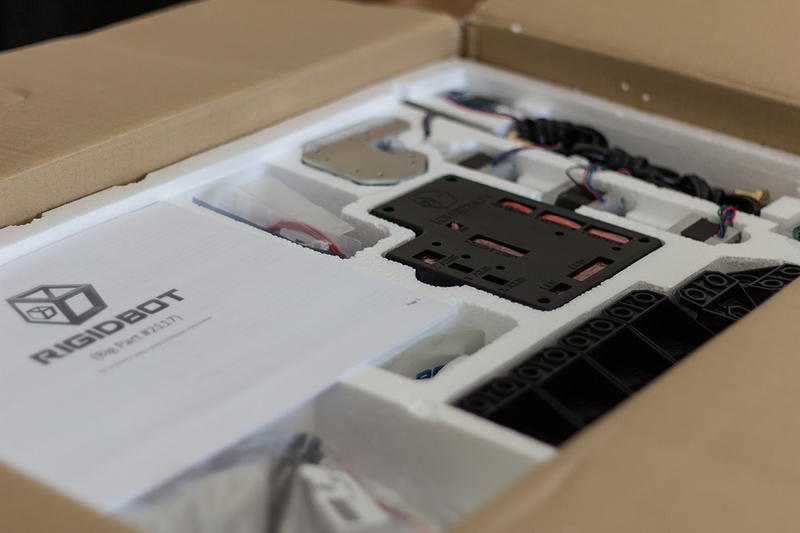 After much anticipation and persistent refreshing of my FedEx tracking screen the RigidBot finally arrived at the front door. 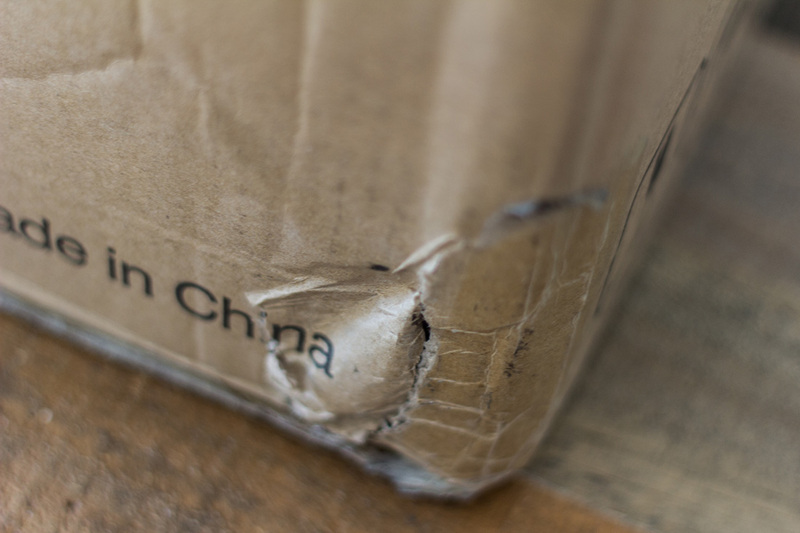 The box certainly showed signs of having been bounced around a Chinese factory, crammed in a shipping container for a few weeks, then manhandled through the FedEx network, but cosmetic evidence aside things looked good. I opted for the RigidBot Big, which offers a build volume of 12” x 16” x 10” (as opposed to the regular with a 10” x 10” x 10” volume). 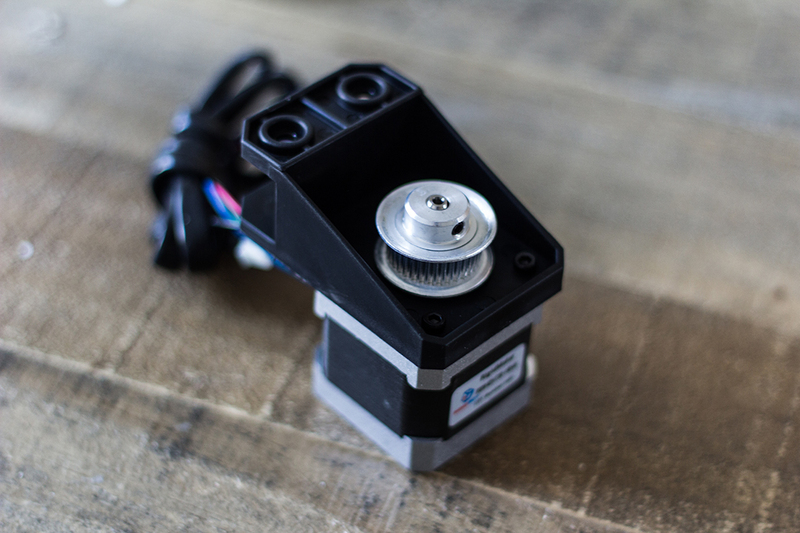 Being a fan of building things I also opted for the kit form as opposed to a pre-assembled unit–thinking that being new to 3D printing, assembling the unit would help add to the understanding of how the printer works and all of the moving parts. In addition to the base kit, I also opted for the Z-Rod upgrade, a cover, and some spare extruder tips—along with a spool of gray PLA, a spool of black ABS, and the free spool of white PLA (not shown on the packing list). 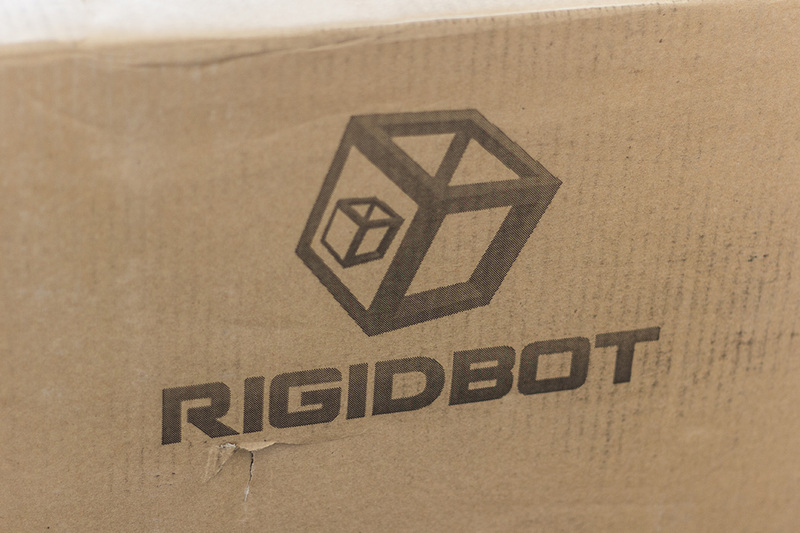 Upon opening the box you are met with a RigidBot branded lid, which I must say, gives a very good first impression that the product has been well packed. I can’t remember the last time I bought anything that came with the Styrofoam imprinted with the product logo. Under the lid you’ll find three trays of parts. 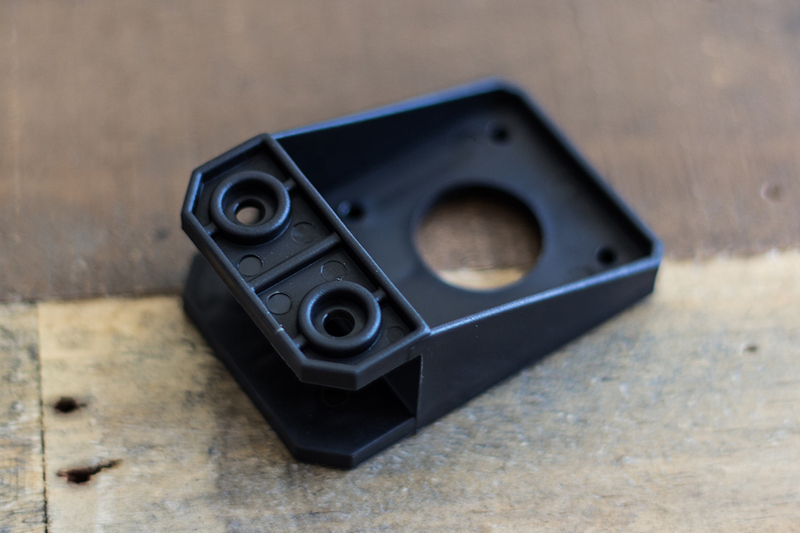 The top tray includes all of the electrical, mechanical, and injection molded plastic components. Under that is a tray that includes all of the accessories you’ve ordered (extra roll of material, spool holder, spare tips, etc. 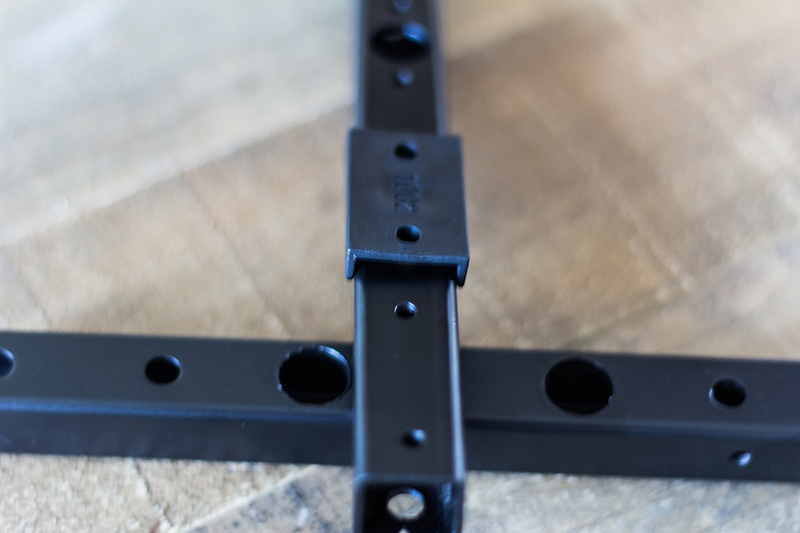 Finally, the bottom tray includes all of the structural metal components, the side panels, and the print bed and heating element. The organization of the packaging is very well thought out, with very little wasted space. I was both surprised and impressed with the obvious effort that went into the packaging—especially considering the wide array of different kit combinations possible, and the means at which universal packaging was used. 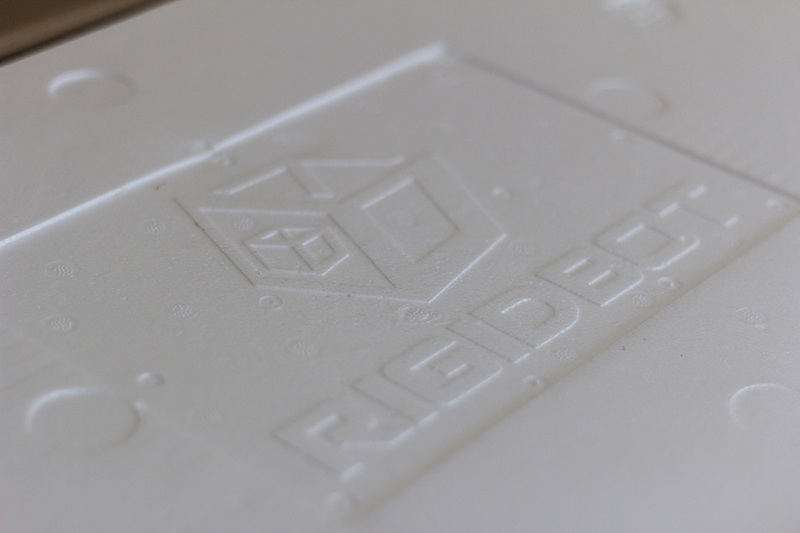 Even the individual hardware bags contain RigidBot logos along with the applicable part numbers. 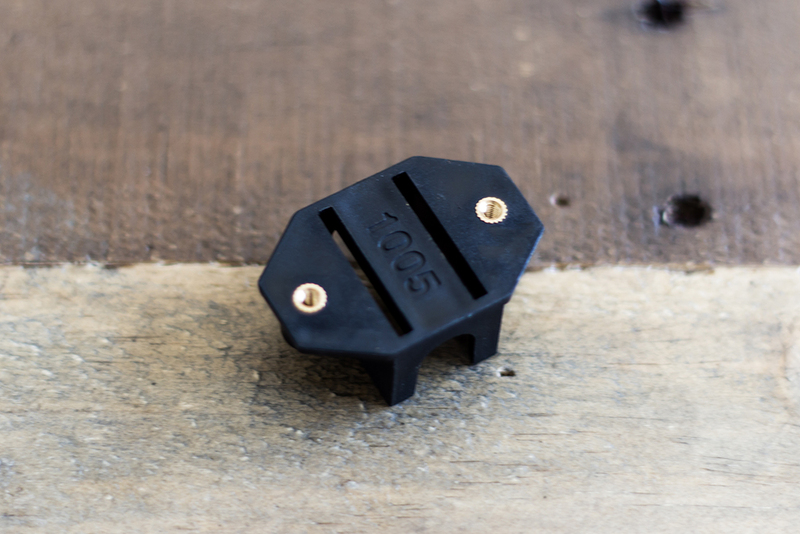 The injection molded plastic parts feel very solid and well made. They don’t feel cheap or brittle at all. The bearing cases even featured metal sockets to receive the screws as opposed to just screwing into the bare plastic. I was very impressed to find this level of build quality and execution. There are a total of 5 motors in the RigidBot. 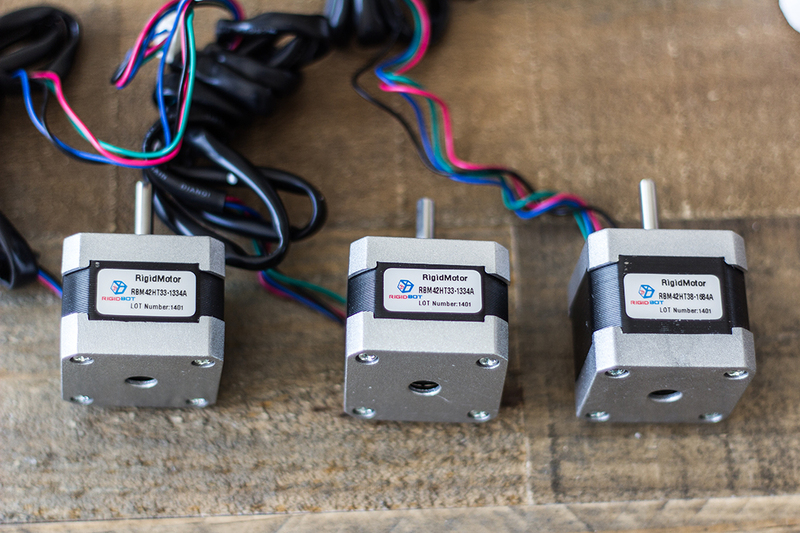 Two are used for the Z-axis (not pictured), one for the X-axis gantry, one for the Y-axis, and one for the extruder. It’s important to note that not all of the motors are the same. The motor used for the Y-axis is slightly larger (and more powerful) as it is tasked with moving more mass (the entire build plate). 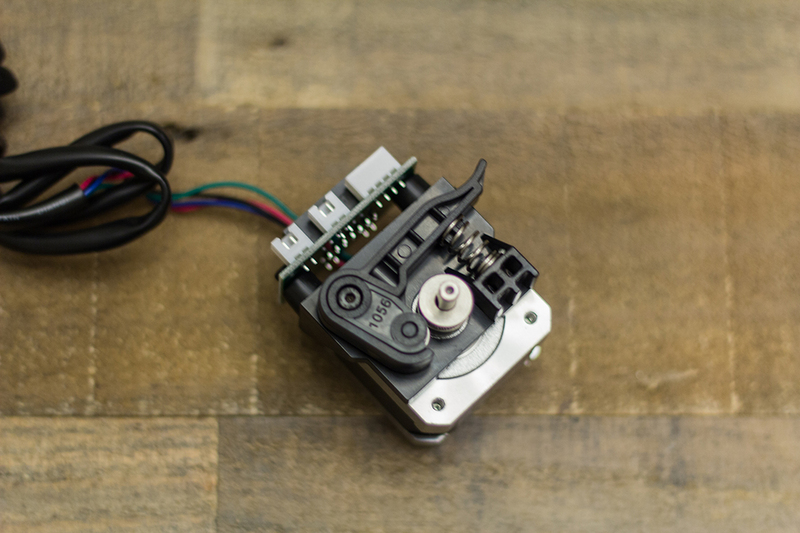 Even the motors have RigidBot branded labels as opposed to just generic factory model numbers. 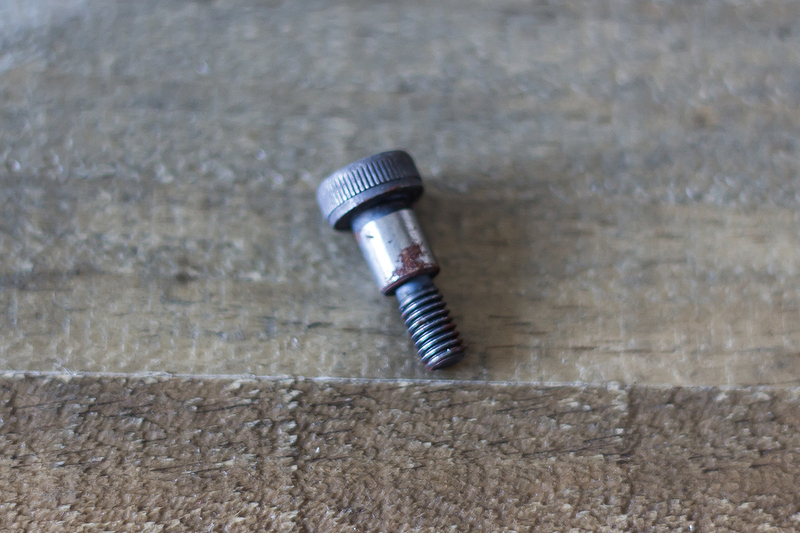 There were numerous reports circling the web of corrosion and rust found on parts within the kit. 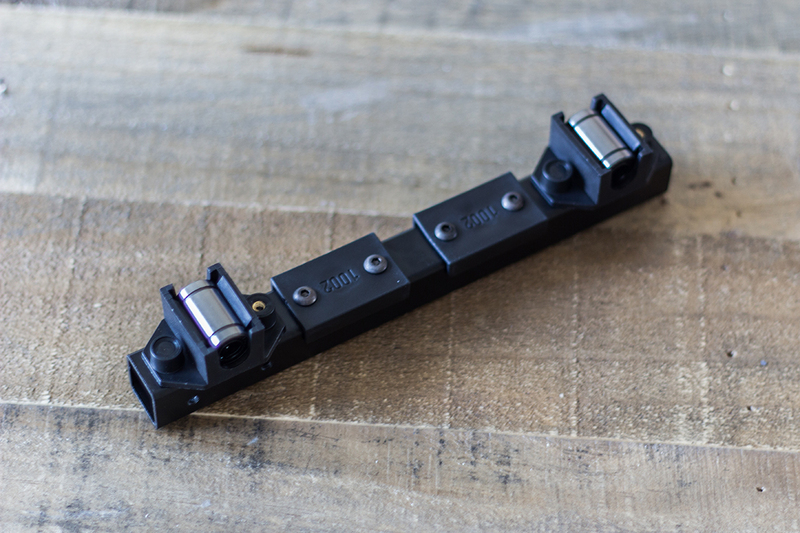 There were only two parts in my kit that contained signs of this—the shoulder screws used to support the drive bearings, and the spooler rack shaft. There were also reports in the community of metal bars that were either incorrectly drilled or with holes missing completely. 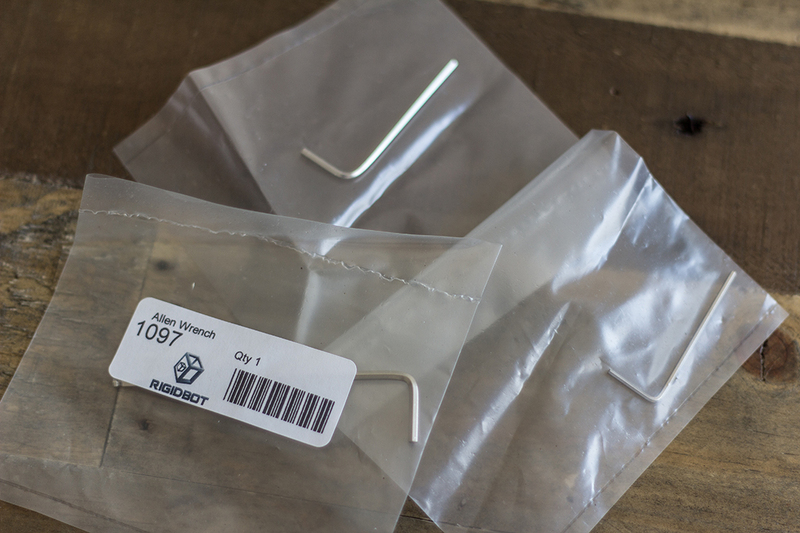 I did not encounter any of these issues with my kit—all parts were correctly machined. There were a number of areas where there was a noticeable/rough burr around holes that had been drilled, but no errors or mistakes in manufacturing. 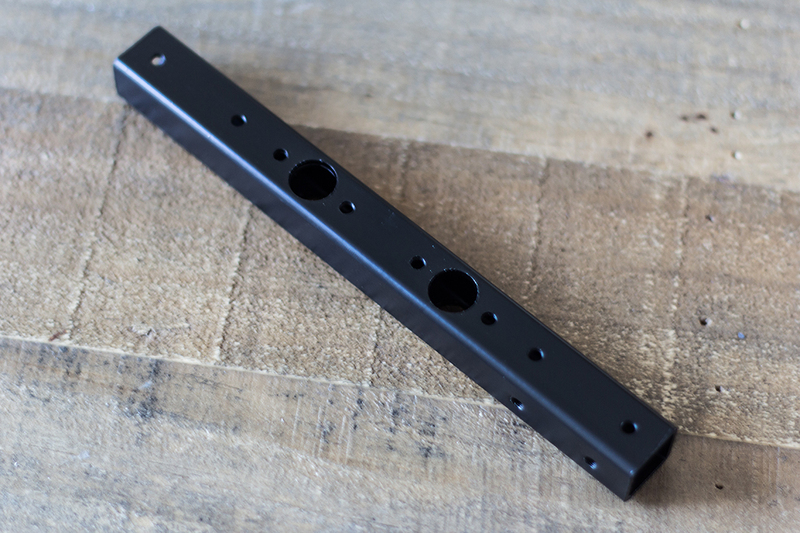 In several places, the injection molded component didn’t fully snap onto the metal bars. I found that rotating the plastic pieces resolved this problem in all cases. I’m not sure if maybe some of the holes were drilled ever so slightly off center as to prevent the pieces from seating correctly, but ultimately all of the parts fit together without having to retrofit anything. As the parts come together through various subassemblies everything feels very solid and well designed as it sits in your hand. 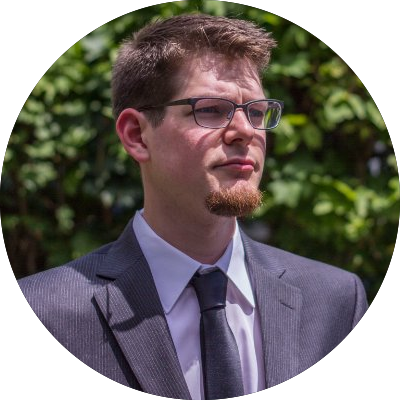 Admittedly, I had my doubts that the RigidBot would be this… “Rigid”, but it does feel very solid. 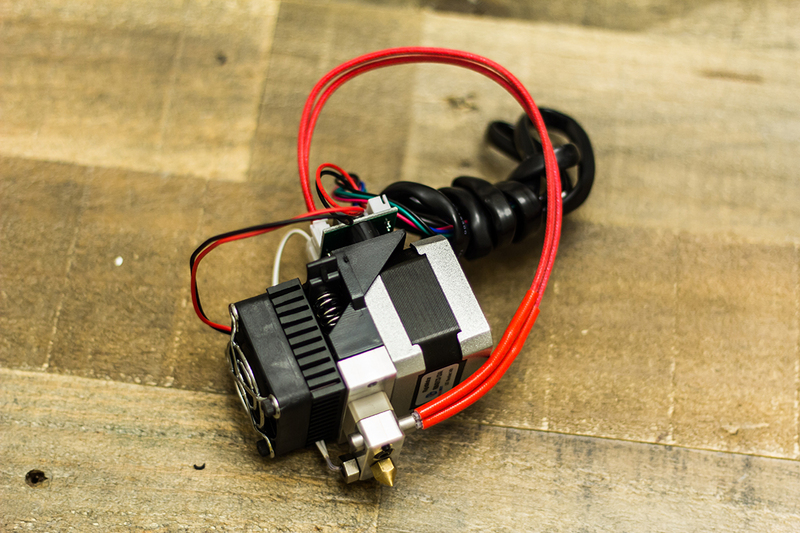 Being new to 3D printing, the most daunting part of the build was the extruder itself. 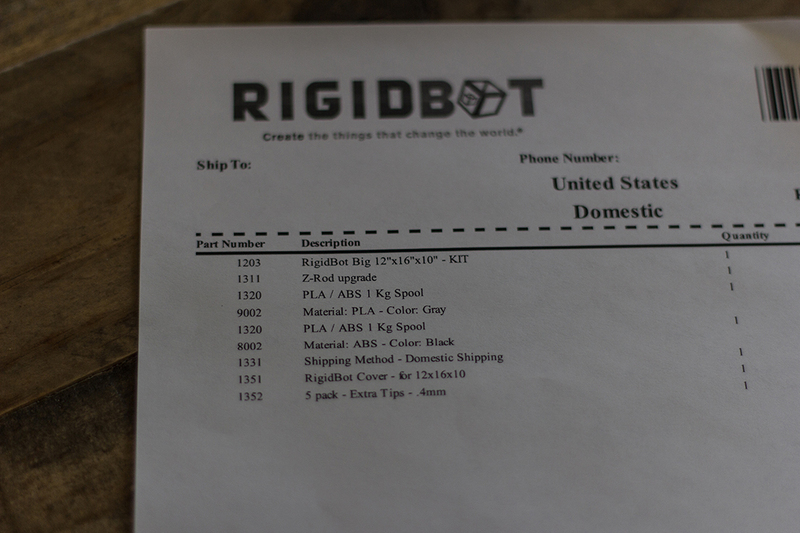 I think this is also a good time to talk about the instructions that ship with the RigidBot kit. I consider myself a technical person (experienced with CAD, design, fabricating, etc. ), and I was incredibly disappointed with the “instructions” included in the kit. Most of the diagrams are not to scale, there’s no consistency in the packet with regards to orientation of parts. In some steps, parts that you’ve previously installed as instructed are removed from the diagrams. These are certainly not Lego-style instructions, in fact they look like they were a complete afterthought that nobody spent more than an afternoon on. The instructions themselves lack a general flow. Each subassembly is depicted in a single picture, and you have to scan the picture looking for the part labeled “Step 1”, then “Step 2”, etc.—they don’t follow any sort of a pattern (ie: clockwise, counter clockwise), it’s completely random. The written verbiage to support the assembly steps is also rather poorly written, and I was surprised to see that in many places it tells you to go to rigidbot.com to watch a video for that step. I dug and dug through the website and couldn’t find any link to any videos; eventually I ended up just doing a YouTube search myself and found the RigidBot assembly videos that way. I think this is just another example of the communications failure during the campaign crossing over into the human interaction side of the product. If InventAPart needs anything, it’s someone to oversee the customer-facing communications and collateral. 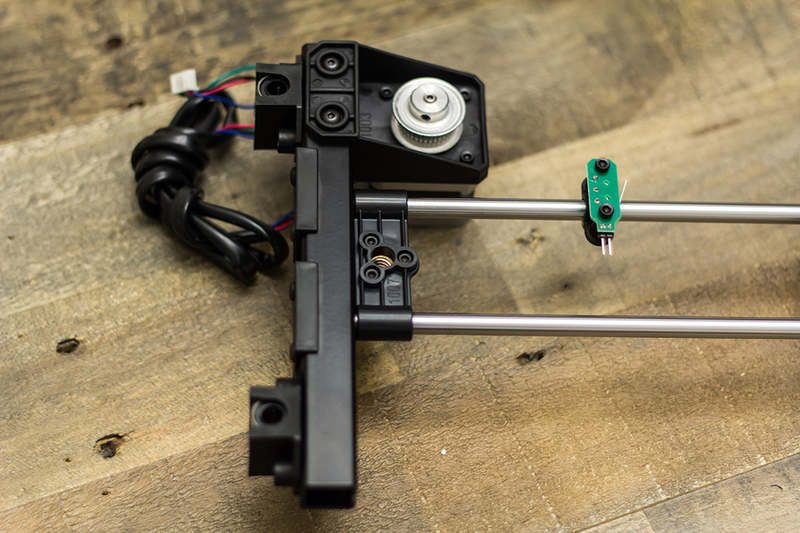 The extruder itself is fairly simple in design (more on that in a future post), but it has quite a few parts that have to be assembled in exactly the correct way. Towards the end of assembly you almost need an extra set of hands to hold everything in alignment and screw everything down. Unfortunately, after some issues with the stock block, some redesigning was required and a new part was included in the kit. None of the assembly videos were updated to reflect the part change, so what you’re holding in one hand doesn’t match what’s on the instructions (either printed or video). 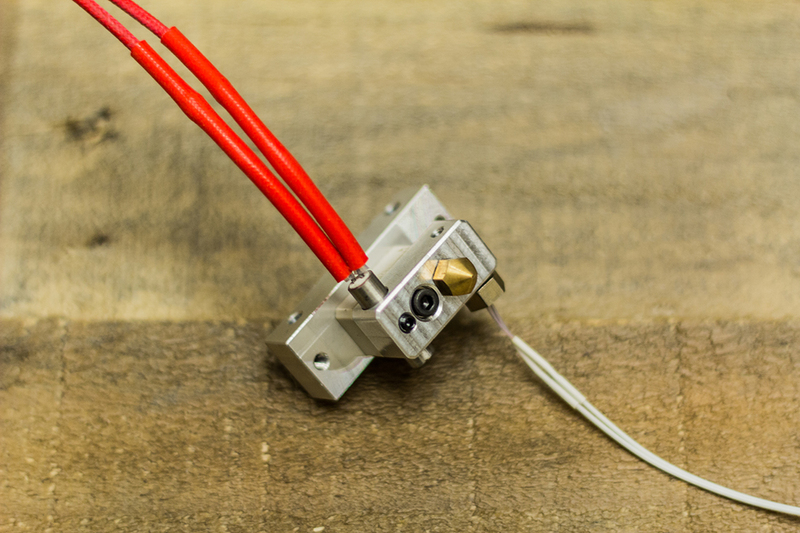 When mounting my extruder to the plate, I ended up removing the plate from the gantry bars, and the tip from the extruder in order to get the extruder on—no way that I tried to position it would allow me to angle the extruder in and bolt it down as shown in the video. On the first night I ended with the X-axis gantry assembled with the extruder installed. 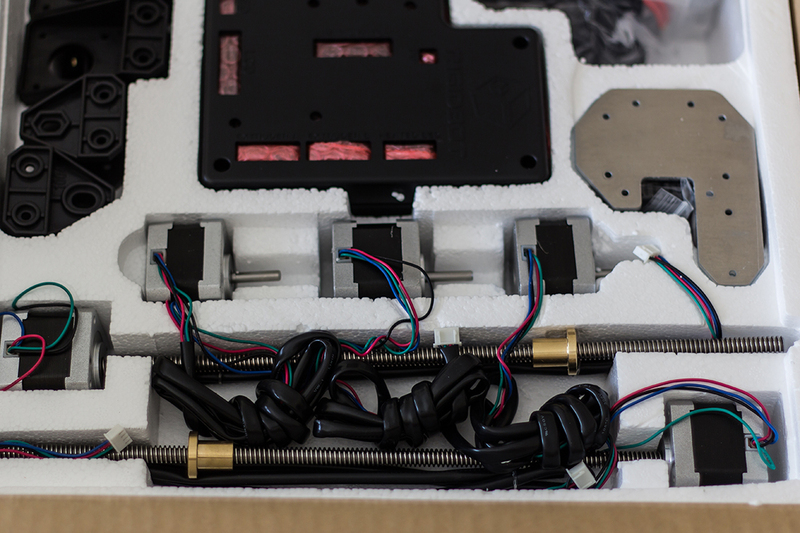 In the next post we’ll look at the electronics, remaining assembly, and thoughts on the overall assembly experience.